The Delhi CM said Pakistan's biggest dream for the last 60 years is to divide Hindustan on the lines of Hindus and Muslims and that the BJP did it in three years. 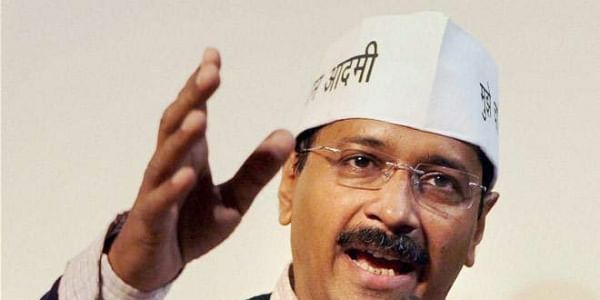 NEW DELHI: Chief Minister Arvind Kejriwal on Sunday said that by dividing India on the Hindu-Muslim line, the BJP has done in three years what Pakistan and its ISI could not do in 60 years. "Pakistan's biggest dream is to divide Hindustan on the lines of Hindus and Muslims," he said. "Those people who're dividing the country on the lines of Hindus and Muslims are ISI agents." "Under the veils of patriots, they're anti-nationals. They want to weaken the country. That dream that Pakistan has been seeing, which ISI could not do in 60 years, BJP has done in three years," Kejriwal said at the Aam Aadmi Party's National Conference held here on the occasion of the party's fifth anniversary, which saw participation of representatives from 22 states. The Conference was held in Ramlila Maidan from where the India Against Corruption movement led by Anna Hazare started and later gave birth to the AAP party in 2012.